The original Austrian title, Ich seh ich seh, refers to a game similar to I spy, which feels wholly appropriate as this unnerving and brutal three-hander demands that the viewer keep a keen eye on the see-sawing madness and manipulation that plays out between a mother and her twin sons. This whole project is something of a family affair with Ulrich Seidl (best known for the Paradise series) producing, while his wife and previous collaborator Veronika Franz and nephew Severin Fiala share the writing and directing duties on a film that poses provocative and uncomfortable questions regarding parenting and communication. A sinister atmosphere is evident from the outset with Elias and Lukas (played by the Schwarz brothers) seen frolicking in the green fields that surround the isolated and clinical building they share with their mother (Susanne Wuest), who is recovering from facial surgery after an unfortunate accident. Franz and Fiala’s debut narrative feature revels in juxtaposing the freedom of youth with the overbearing weight of responsibility faced by a parent, as they swoop between wide open spaces and a contained structure. The family interactions are oddly chilling and often laced with a dark humour that bubbles over into a vicious and cruel game in the final act. This is not for the faint of heart as blood begins to gush and bones to crack. 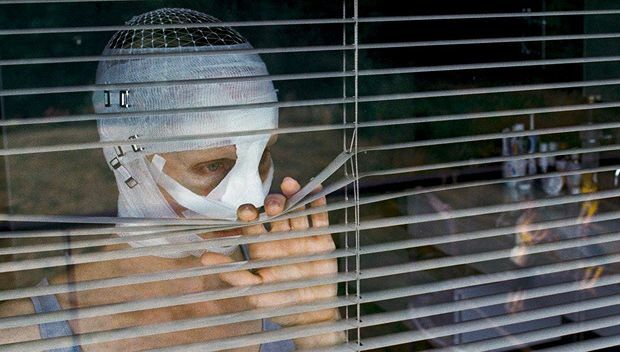 Goodnight Mommy is a fascinating examination of the way in which parents succumb to their children’s whims in order to protect them. Every inch of the film crackles with the grim intensity of a funeral pyre and there’s a strong sense of foreboding, while both the twins turn in devilishly good performances. Haunting imagery, such as skulls being walked over, a mother admiring her bandaged face in the blowing wind, and wallpaper adorned with insects give it an otherworldly feel, as its surreal and twisted fairytale-like ambience swells to an almost overwhelmingly powerful degree. Selected release from Fri 4 Mar. Two ten-year-old twins (Schwarz and Schwarz) begin to believe that their mother (West), recently released from hospital, isn't their real mother. A fascinating examination of the way in which parents succumb to their children’s whims in order to protect them; every frame crackles with the grim intensity of a funeral pyre.